Ahrend Kaigan Chair by Marijn van der Poll. 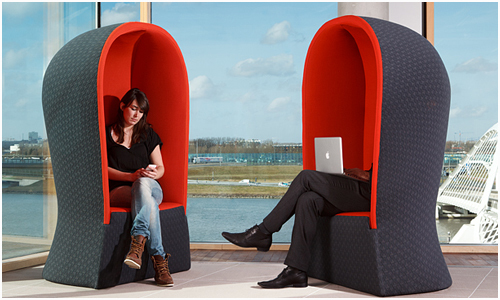 Sometimes you just want to take yourself away from the work environment a bit an enjoy a little privacy. This Ahrend Kaigan (taken from the Japanese word for ‘coast’) chair takes the wickerwork beach chairs that used to be popular on Dutch beaches to give it more purpose – now in an office environment – complete with tubular steel frames and upholstery. 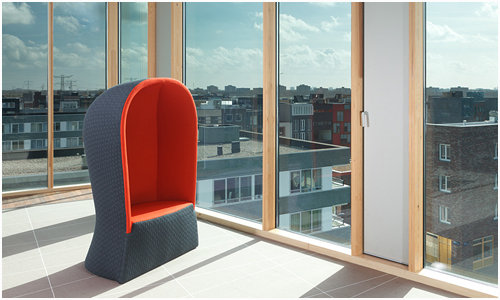 Designed by Marijn van der Poll, this chair not only gives the privacy that one may be looking for, but also breathes new life into an office space. 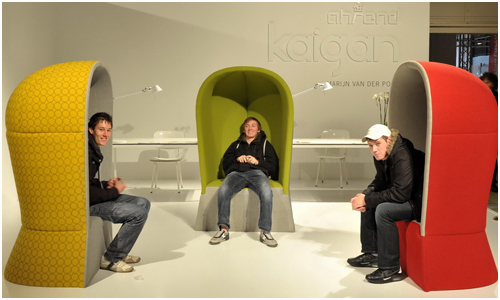 Read more about the chair on Ahrend’s website. 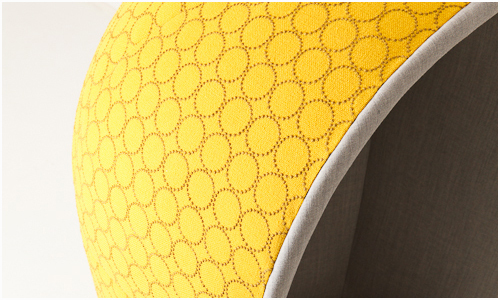 Editor’s Note: added pricing information for the chair, which starts at €1,800 (excluding VAT).